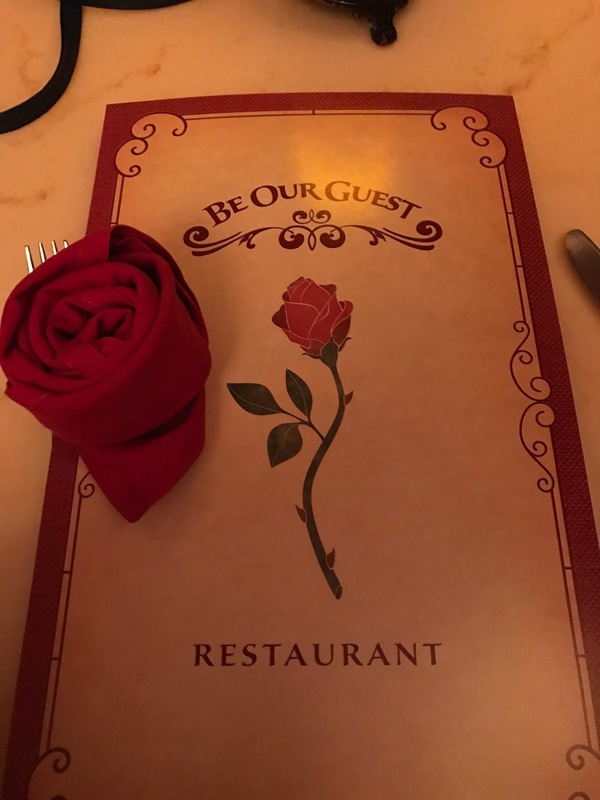 If you like Beauty and the Beast, then you must dine at Be Our Guest while visiting Walt Disney World. You need to make reservations, but some lucky folks can get a walk in. Just ask, because you never know. We've always done reservations to be on the safe side. So far I've eaten there for lunch and dinner--lunch is considered quick service, while dinner is table service. I enjoyed both of them, but prefer dinner. They also do breakfast, but I have yet to try it out. I hear it's delicious too! 1. The decor is incredible. And after you check in, you wait out front of these gorgeous doors. 2. The food is delicious. My daughter tried the grilled seafood of the day kids' meal and said it was "yummy!" I think my daughter and I frightened the waiter when he brought the dessert tray over. I was like, "Oooo!" and my daughter was like, "Yummmm!" and my teenager was like, "You guys are embarrassing me." Seriously, they bring over a dessert cart. I wanted to be like, "I'll take one of each." Instead I went for the grey stuff. 4. You get to meet the Beast. 5. Did I mention the decor? 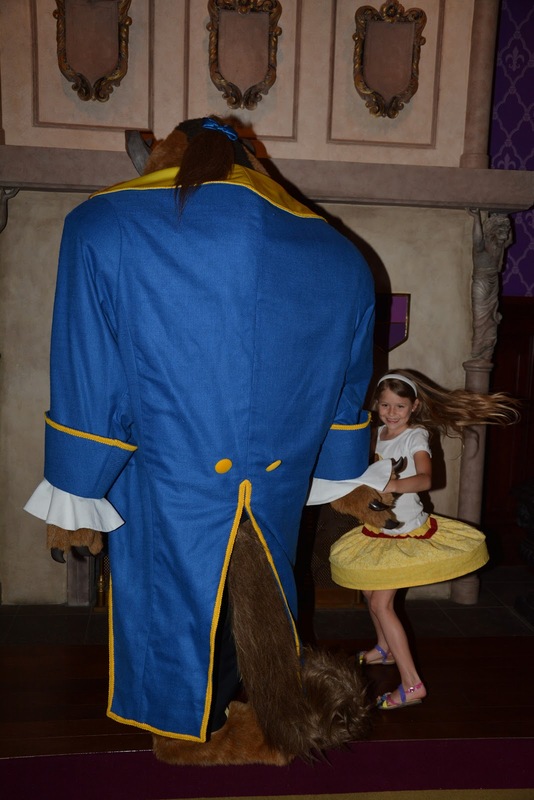 When we head back to Disney World, we'll be dining at Be Our Guest. You can book reservations by phone or online. This place looks so cute! What fun for Natalie! I've heard such great things about this!!!! It looks like a great place. This restaurant sounds like so much fun! Beauty and the Beast is my absolute favorite Disney movie, and you can bet I'll be dining here whenever I make my way back to Disney. My friend went here and said the gray stuff tastes amazing! That looks like it was an amazing trip. My daughter would have loved that, thanks for sharing I'll have to put it on our to do list, next time we are in Disney. Looks like s fantastic place for the family. 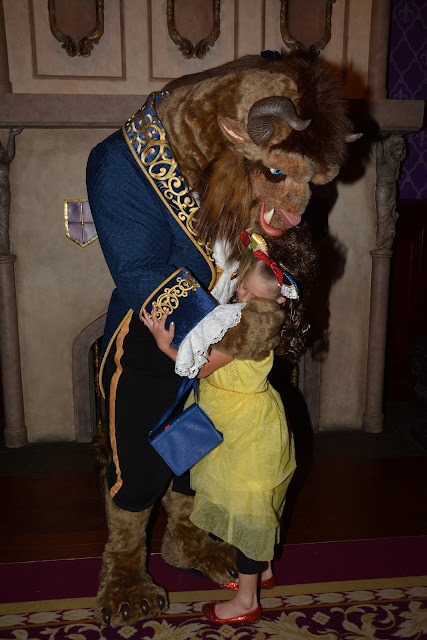 I like the beast photo opportunity! This looks so magical. My daughter would just love this. I'll definitely give it a try when we visit. Wow that looks so awesome! My son would be in heaven to be able to dine like the Beast! We eat there every year when we go, but for lunch. We LOVE the grey stuff....YUM! We go to Disney at least once a year and we've never eaten there. I need to make a reservation before we go back next spring. Yum! How cute is this place - your daughter must have had a great time! Oh my: yes, yes, and yes! 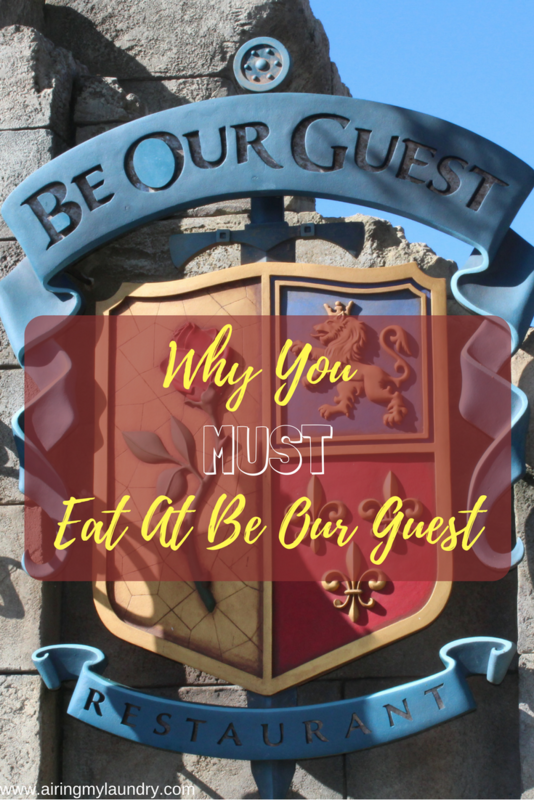 I would LOVE to eat at Be Our Guest with my husband. It must be especially busy now with the movie and all! Forget the kids I want to go and experience the Beauty and the Beast Castle. What a wonderful and fun experience for your entire family. 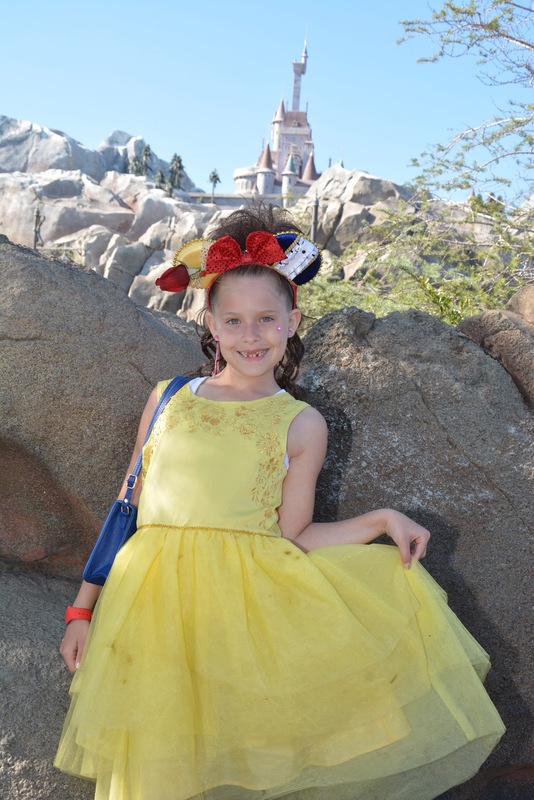 I can't believe we HAVEN'T, because we always do Enchanted Tales With Belle. The Grey Stuff DOES look delicious. One thing I need your advice about is the Beast. Scarlet asks me, "I thought the curse was lifted. Why would he still be a beast?" Like she asks why Ariel sometimes has fins and sometimes doesn't. And don't get me started on Rapunzel's hair, although the new TV show clears that up. What do you say to Natalie?? Try the Grey Stuff, it's delicious! It looks amazing there, especially the decor! Wow what a fun place to eat. I'll have to keep this place in mind the next time I take the grandkids there. They'd have a blast. This. Is. Awesome! We couldn't get reservations!! I know you have to get them way ahead of time, so hopefully the next time we go, we'll be able to eat there. I'd be that way over the dessert too! OH MY GOODNESS! I can't wait to take my daughter Kinsley.She is a Beauty and the Beast fanatic! I definitely can't pass this up! I keep hearing so much about the Be Our Guest restaurant I would absolutely love to go myself one day. My family will be traveling to Disney soon. I'll have to remember to share this post with them. Lovely photos! You're right that decor looks amazing. And the food! I need those scallops. Man I am grenade with envy! I really want to visit the US with my kid someday to go there! 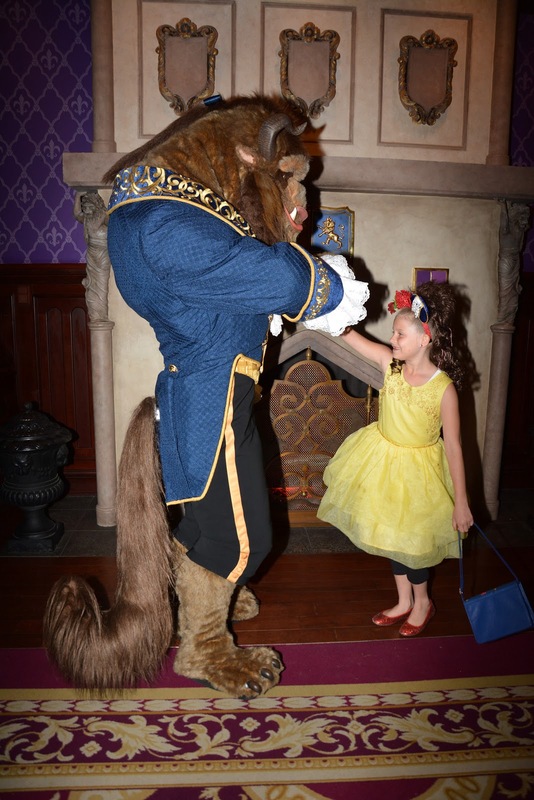 What an amazing experience for your little girl! I will have to remember to dine at Be Our Guest the next time we're at Disney. 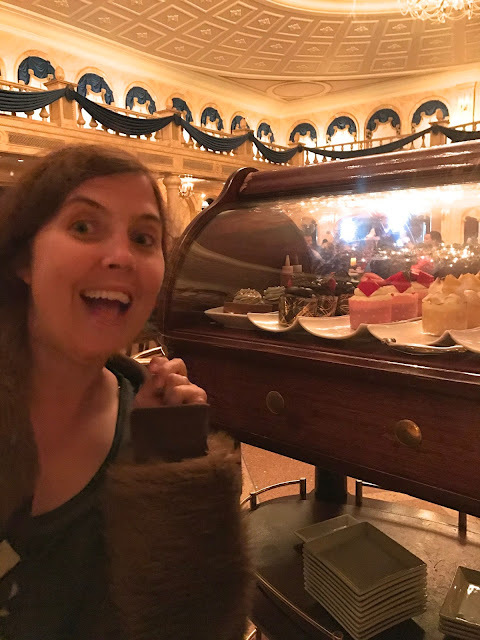 I'd feel the same way you did with the dessert cart. I have never been to Disney. And I wonder who will be more exited, me or the kids? Me, definitely me! What a super fun experience for Natalie and actually, all of you!! I'm feeling kind of jipped that I didn't get to do this as a kid!! Oh wow this restaurant looks amazing! I had no idea they had this restaurant at Disney world, I'm adding it to my list for when I finally visit there. OMG I'm so jelly! This place looks so so cute. I wish I could dine there! Must visit! That looks like so much fun!! 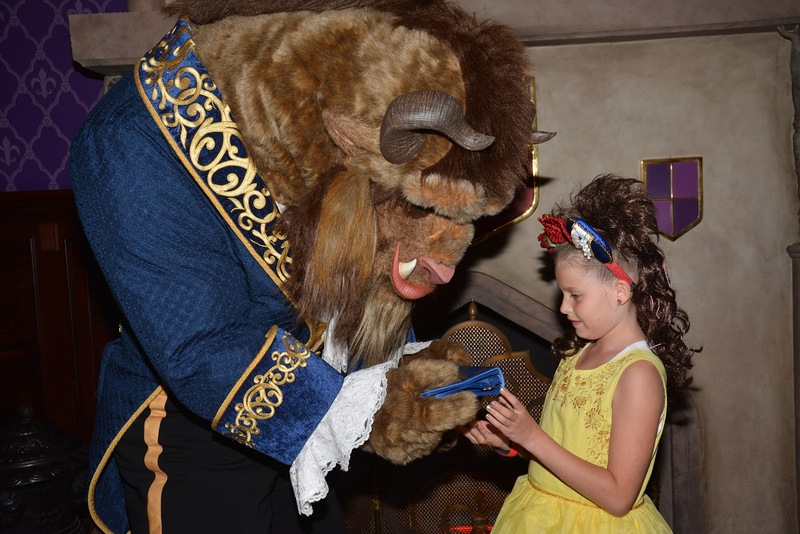 Your daughter must walk on clouds all week after dancing with Beast. And look, it even brought a smile out of your teen. Kudos! OMG i like this themed restaurant! I wish someone in Manila could also thought of this idea :) Wonderful! The decor is indeed beautiful and I would love to eat there at least just one. 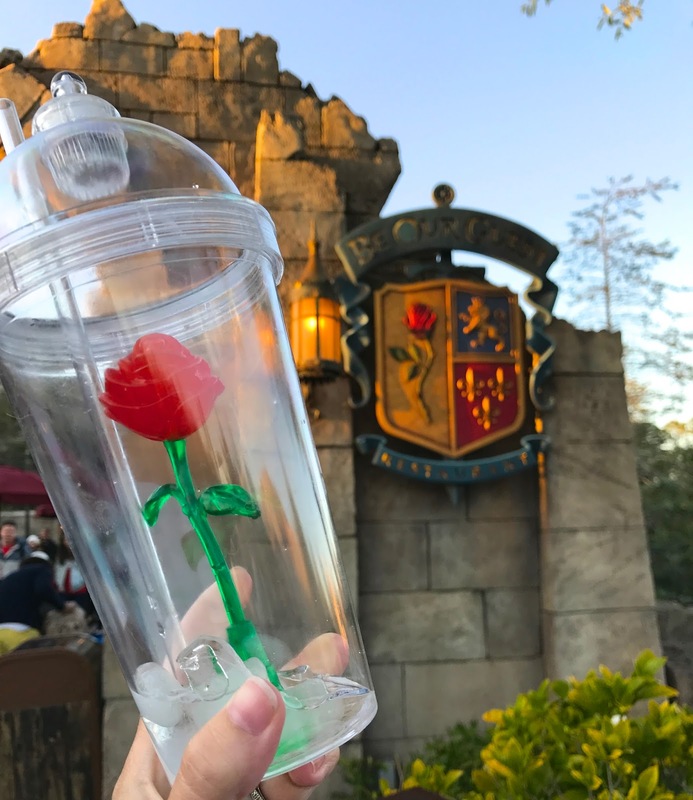 The rose in the drink looks awesome and I love the idea of meeting the Beast. It is wonderful he danced with her. Thanks for sharing this wonderful place and your amazing experiences. How enchanting that is, my daughter would have loved it there. 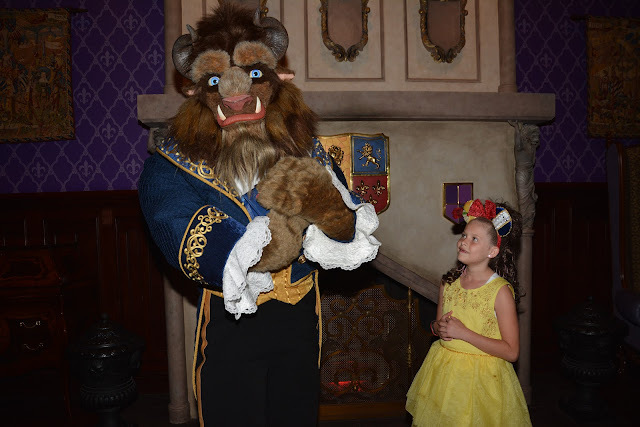 Meeting the Beast would be cool too. Oh my gosh this like a literal dream! This is one of my favorite movies of all time and i would love to eat here and experience this. I love the cup with the rose in it, how cute! Your daughter looks so happy while bonding with the beast. Someday i will vist and i will surely stop there for lunch or dinner. It looks like you had such an amazing time. My daughter would love going there for sure. I do hope to make it out to Walt Disney World sometime soon. My family would love to eat at Be Our Guest. The food looks yummy and it looks like they put the little details in everything. 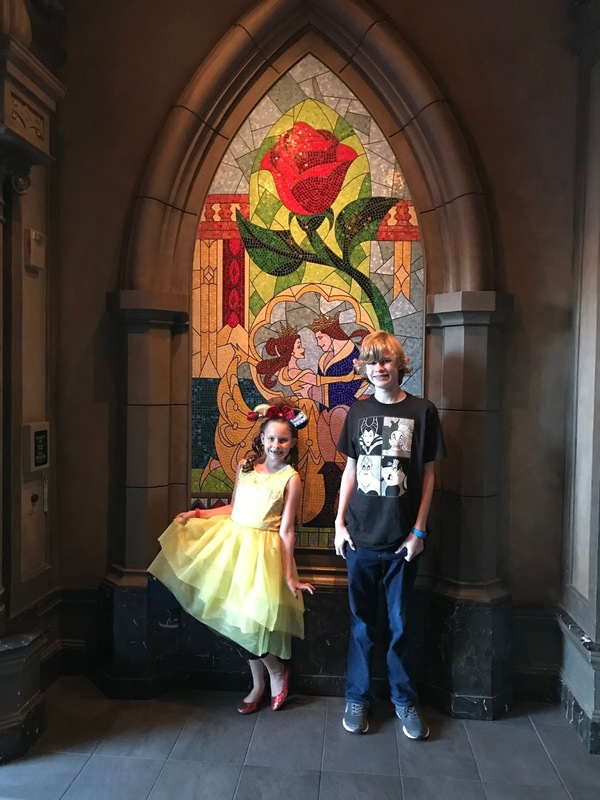 We went to Be Our Guest and it was amazing! Just seeing the castle is so so cool and the food was great! I have always wanted to here! We usually end up at Disneyland instead of Disneyworld so I haven't had the chance yet! Be Our Guest sounds a great place. I have seen a few articles about this place and I really want to visit here someday with my kids. I'll try their breakfast, lunch, dinner and anything that they can offer. Thanks for sharing your experience. 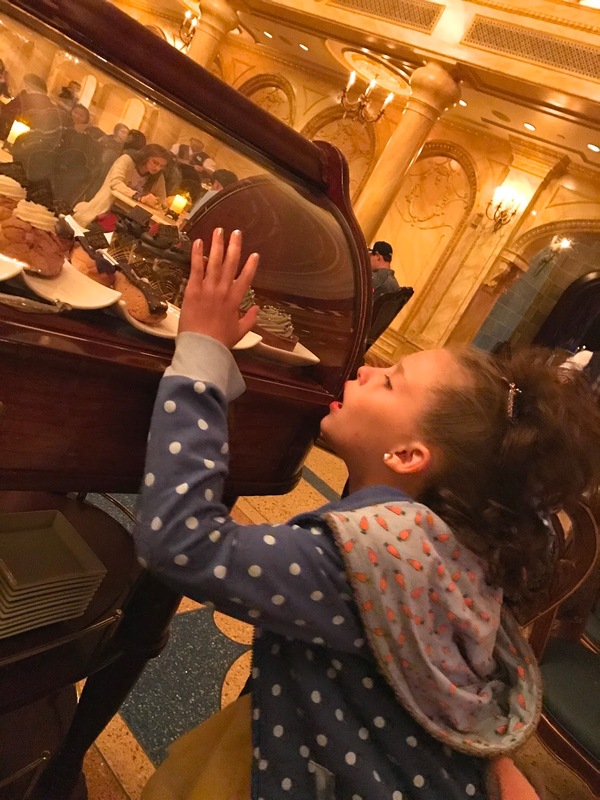 I will take my granddaughter to Be My Guest Restaurant the next time we are at Disney. 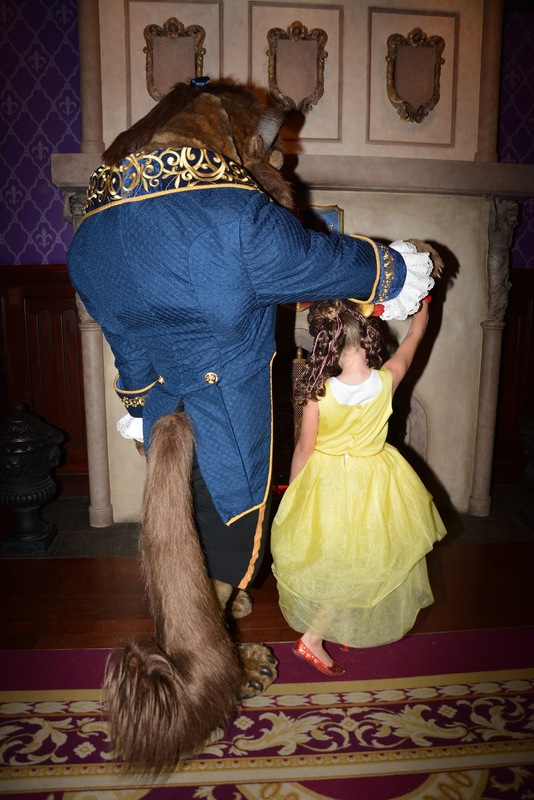 Oh my goodness, she'd love to have that dance with the beast. 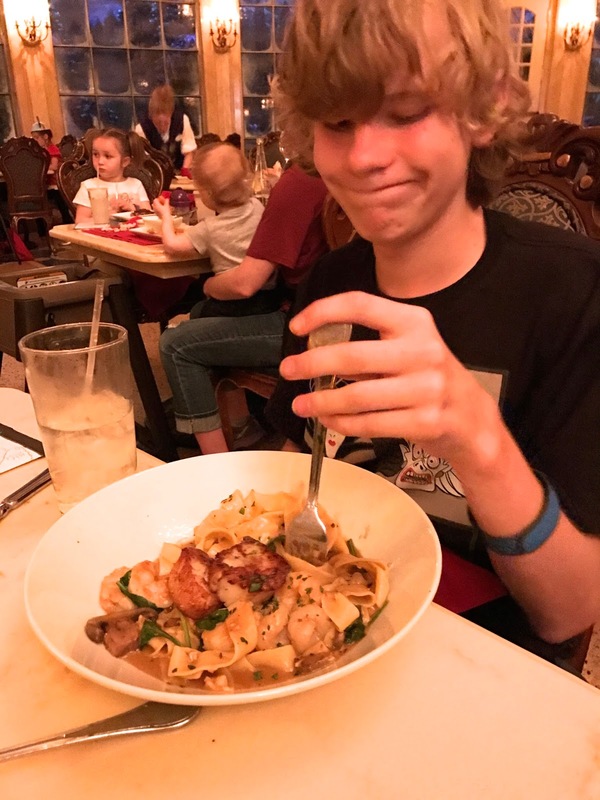 This is one of our favorite restaurants at Disney!!! Can't wait to go back and try the grey stuff again! Oh wow I would just love this experience. Beauty and the Beast is definitely my favorite Disney movie so this would be such an amazing one to do. I have never tried eating there before! I'm actually not sure if the Disneylands in Asia have that restaurant and I sure hope they do. 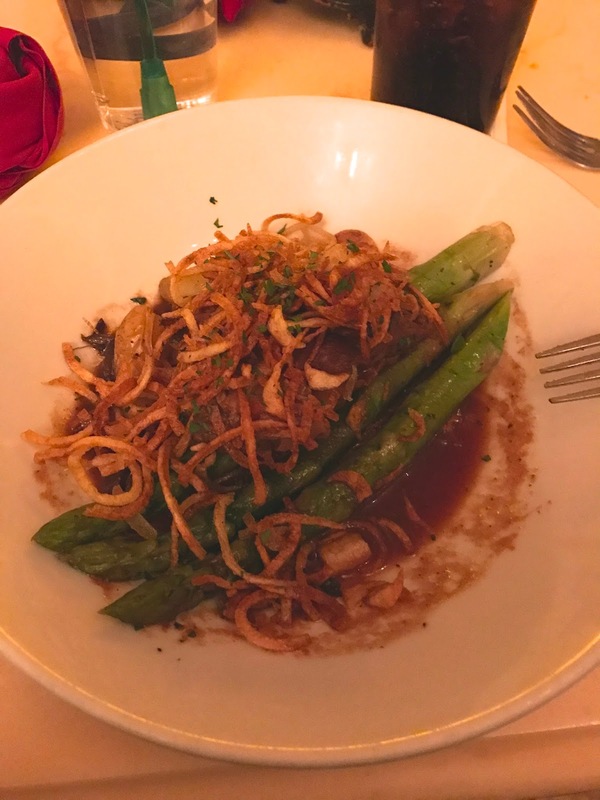 These are all really awesome reasons to dine there! Looks like it's a memorable experience. We just had a first family vacation at WDW and had an AMAZING time. 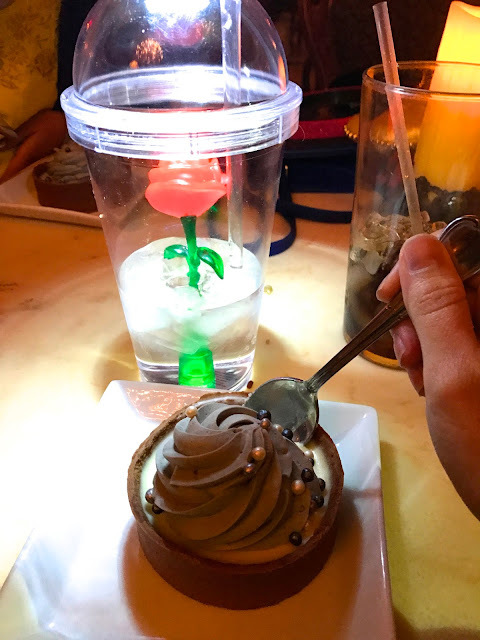 Be Our Guest is definitely on our list of must-try restaurants for our next trip. I haven't eaten there yet, but if I ever visit Disney world (I hope to do that in a couple of years) love to try the restaurant. I love go into theme restaurants with a great atmosphere. This sounds like a spectacular dinner party to be a part of. Fabulous fun memory.